Beth Parentice's inspiration for Chester County-based SIPP eco beverage co. stemmed from her passion for entertaining and mixology. A former bartender, Parentice created a cocktail consulting/catering business but was unable to find a natural mixer. She decided to create her own beverage with layers of flavor combinations. 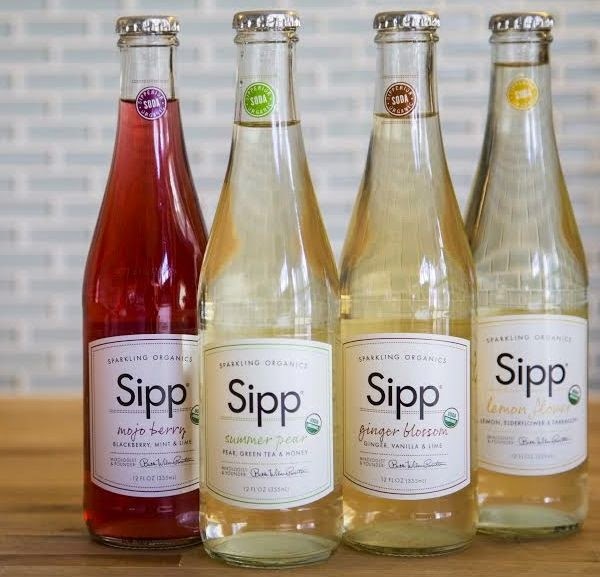 After many months of mixing, testing and tasting, she brought her drinks to the 2009 Natural Products Expo in Boston and unveiled a new line of organic, gluten- and caffeine-free sparkling beverages. Today, SIPP beverages are sold in 12 oz. bottles and come in four varieties - Lemon Flower, Mojo Berry, Summer Pear and Ginger Blossom - with a fifth, Berry Rhubarb, on the way. The agave-sweetened drinks are available in 16 states, including locations in the Philadelphia region such as Kimberton Whole Foods markets, the Pennsylvania General Store at the Reading Terminal Market, Hip City Veg in Philadelphia, and the Chelsea Hotel in Atlantic City. The beverages will soon be in area Whole Foods stores as well.